Hearthstone is adding new Legendary weapons with the upcoming Kobolds & Catacombs expansion. This is a major addition to the game, so Shacknews is breaking these down individually, concluding with the Hunter. We're at the end! So hours before the Kobolds & Catacombs expansion goes live, let's wrap this up with the Hunter. And thus the minion-less Hunter deck is taken to its conclusion. In any other deck, this is a normal 4/2 weapon. 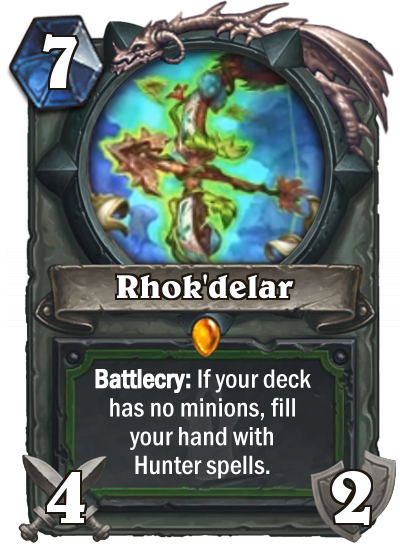 And given that the Hunter already has a Gladiator Longbow that's much better purely as a weapon, that means Rhok'delar should only be used for its effect. So how bad do you want those Hunter spells? There is one thing to think about when it comes to playing Hunter. 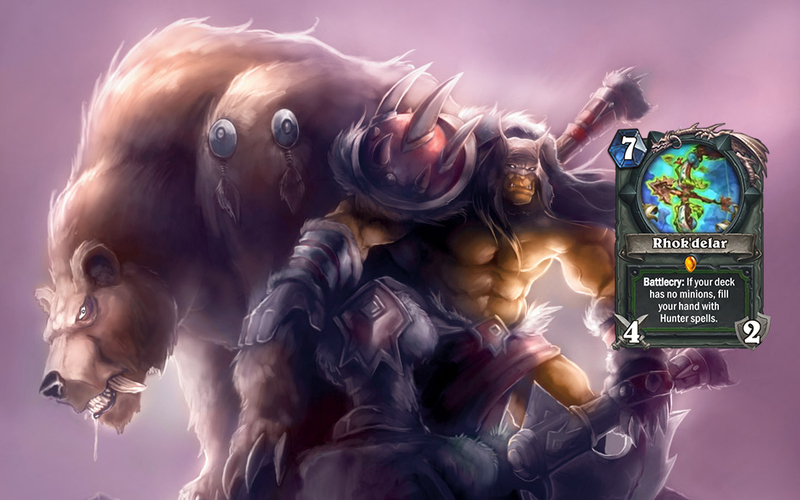 By the time Deathstalker Rexxar is ready, the Hunter player's hand is likely running thin. Even in this new expansion, the Standard Hunter has few, if any, tools to actually draw new cards. 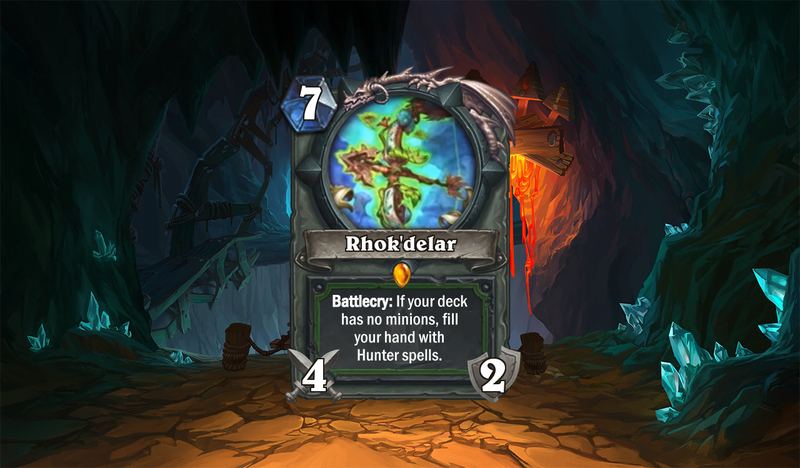 So if the Hunter's hand is running empty, then Rhok'delar becomes immensely useful. The Hunter's hand can be refreshed with multiple Secrets, Call of the Wild, and Kill Command. That's not even counting the new spells set to hit during this expansion. But yes, the key to this deck becomes Deathstalker Rexxar. Drawing the Death Knight Hero early is the main key to making any Rhok'delar deck work. Remember that the main win condition is the Death Knight, not the weapon. Look at the weapon as an emergency means of support. Hunter players should theoretically have enough Secrets and spells to keep games close, but if their hand starts to run low, that's when it's time to play the weapon. The issue with Rhok'delar becomes pulling any spells that actually do depend on minions, like Stampede or Smuggler's Crate. At that point, work with your Zombeasts to make those spells work for you. That's the end! All cards have been analyzed! If you've missed anything, go back and check out our Kobolds & Catacombs coverage. If not, sit back and wait for Hearthstone's next expansion to arrive later today.